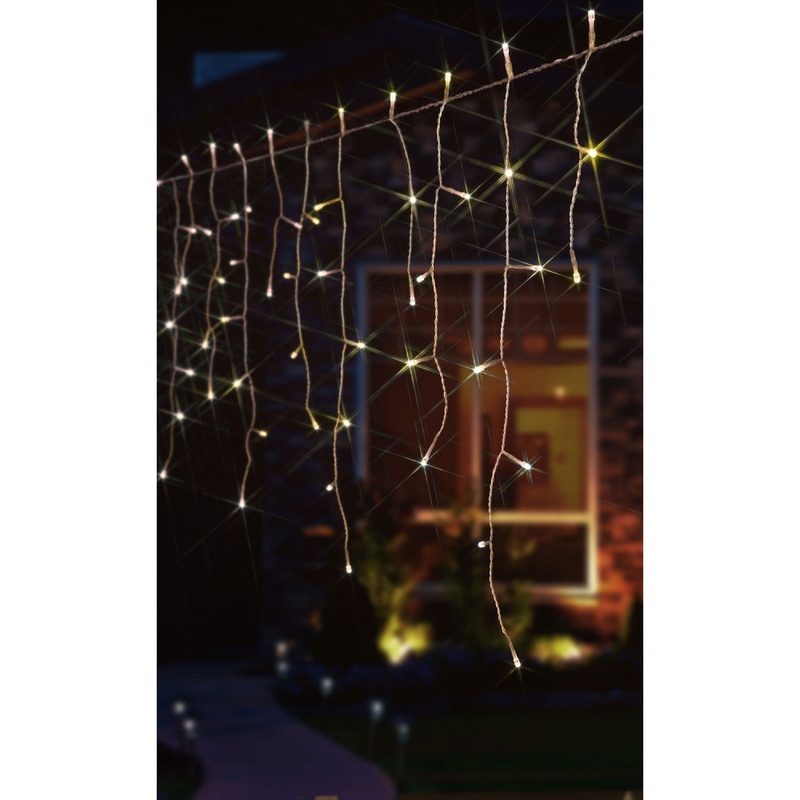 Noma® Snowing Icicle Lights 144 Soft White LEDs on White Cable suitable for indoor or outdoor use look stunning hung along the eaves of your house, outbuilding or fence. 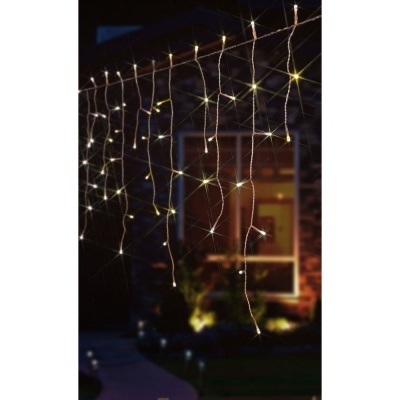 The lights create a twinkling snowing effect where movement of light rolls downward on each drop. Snowing Icicle lights are commonly used for outdoor use to light up the exterior features of a home during the Christmas season. Lights benefit from a speed controller which allows the snowing light movement to either twinkle at your chosen speed, or set to static. Noma® ‘Easytimer’ system is included within this set, which ensures the lights stay on for 8 hours / off for 16 hours programmatically.